Air Force Sports Club came into the finals creating a major upset as they beat favourites Police Sports Club by 32 points (four tries, three conversions, two penalties) to 23 (three tries, one conversion, two penalties) in their Dialog ‘A’ Division Clifford Cup knock out rugby tournament first semi final match played at Race Course grounds in Colombo yesterday. Police led 16 points to 14 at half time. 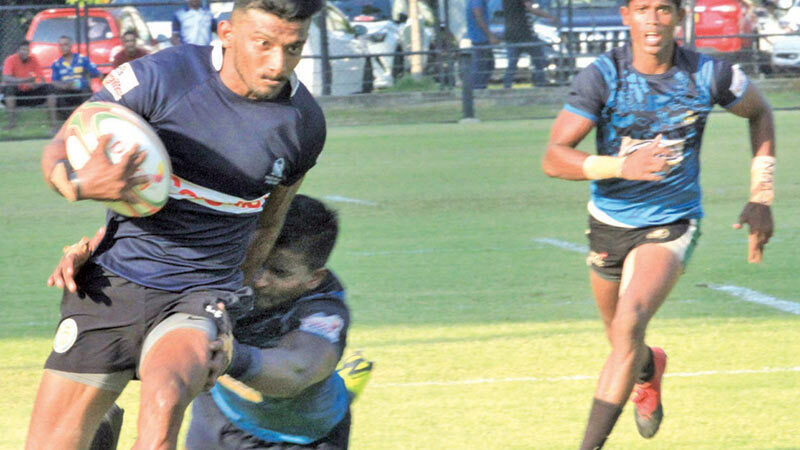 For the winning Air Force teams four tries were scored by Ishara Madushan (one), Saraka Warella (one), Parakrama Ratnayake (one), and Nuwan Perera (one), while the three conversions and the two penalties were slotted in by centre Charith Seneviratne. Police’s three tries were scored by Udaya Sanjula (one), Janith Chandimal (one) and Vihanga Pivithuru (one) while Pivithuru put over the solitary conversion and Chandimal slotted in the two penalties .